As we reported earlier, ZeroHour reached the end of its countdown at 11AM EST (4PM GMT) and had players all over the globe sitting by their computers, compulsively pounding their F5 keys to see when their city’s listing would go live and a drop location would be revealed. Chicago, Orlando, and Paris were the first to update, and it was quickly discovered the drop points were located, fittingly, at arcades. Upon arriving, players looked for their contacts in Flynn Lives t-shirts. The first one to reach the contact gave a pass phrase (such as “Downloadable Content” or “Power Slide”) and was rewarded with a phone, but no further instructions. Once players figured out there was a number in the phone’s contact list labeled “Call Me”, they called and talked to a live person who gave them instructions to find the rest of their package – an 80’s style vinyl velcro “TRON” wallet containing 3 Tron trading cards with codes to be input into the ZeroHour website, a few Flynn’s Arcade tokens, and newspaper clippings about ENCOM. A PM helper shadowed the players and, once the package was found, the ZeroHour website was updated with a check mark to note the drop had been successfully picked up. The players then logged into the ZeroHour site to enter the codes, which unlocked the cards on the site. As the day went on, more cities went live and more drops were collected. Except for a glitch or two (the Toronto package was taken before the player could reach it, and the Madrid drop was never recovered) the drop collections were rapidly collected and the codes were entered. Finally, when Las Vegas and Sydney were the only locations left, the “No” Bit under the card icons changed to a “Yes” Bit. Clicking on the Bit led to a new site, The Pit Cell. The Pit Cell contains information on an “exclusive limited event” to be held this Saturday in 4 different IMAX theater locations – New York, Los Angeles, London, Toronto; and a fifth on Sunday in Sydney. Ticket distribution starts today at 4PM EST (9PM GMT), on a first-come, first-served basis. However, that wasn’t all – clicking on the card icons revealed a piece of a picture on the reverse side, in much the same way as the original Tron trading cards did. Once all the cards were collected and reversed, the image resolved into the picture shown on the Pit Cell page. At the same time, a small graphic next to the “Yes” bit started flashing a code in binary, similar to the one used for the countdown clock. After a bit of trial and error, the solution was discovered, leading to a new in-game discussion forum. The forums are scripted, containing posts from Flynn Lives organization members, but there are several interesting posts with links to two pictures which, when put together, appear to reveal another drawing of a lightcycle. There is also an interesting video that shows how the Bits several players received were made. That’s a lot of information to get in one day, and there is every indication that there is plenty more to come – a number of players now possess phones, and the character-driven message board is likely to reveal more information as we approach the Tron: Legacy release date on Dec 17, 2010. 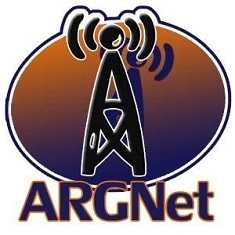 So be sure to stay updated with the campaign here on ARGNet, and at the discussion at the Unfiction forum. Click Here for Miss Selector’s bilingual recount of picking up the Paris drop. Click Here for pictures from the San Diego drop. Click Here to visit the wiki at Wikibruce.com. Scored a ticket (admits 2) to NYC. Is this part of Tron Arg?